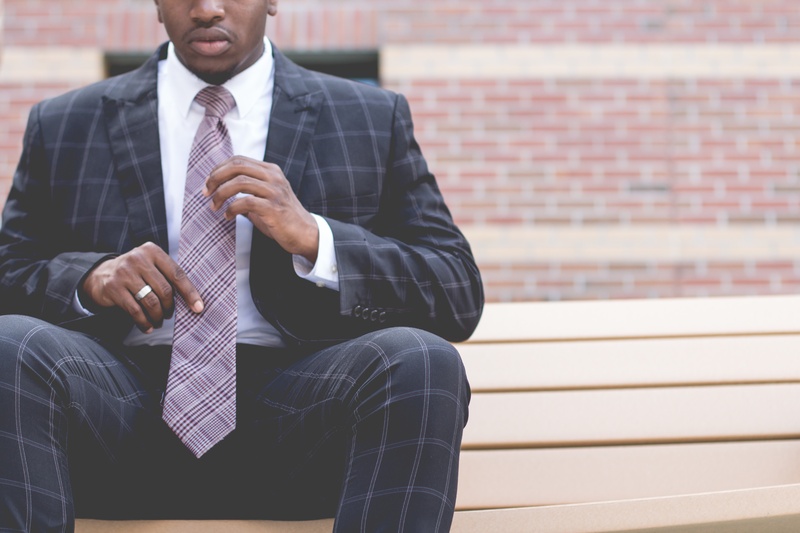 For some people in their first internship or moving into a new industry, learning about professional dress expectations and business attire can be daunting. What’s the difference between business casual and business professional? What’s appropriate to wear at a start-up? What if you prefer an androgynous style, or enjoy incorporating elements of formal dress from your home country in your work wear? This blog post will help you understand some of the basics when it comes to choosing what to wear to interviews and to work. Casual/Everyday: T-shirt, jeans, shorts, patterned skirts, and sneakers, sandals, or work boots. “Dressy” Casual: Plain T-shirt or polo, light jacket or sweater, jeans or slacks, and sneakers, boots, or heels. Business Casual: Button-up shirt or blouse, optional tie, sweater and/or blazer, khakis, slacks or skirt and closed-toe, professional shoes (not sneakers). Business Professional: Matching suit in navy, dark gray, or black with a button-up shirt and tie, sweater, blouse, or shell and professional shoes. Note: Pant and skirt suits are each appropriate. When you’re dressing for the job or internship, it’s important to assess the specific workplace’s culture and norms. While the entry-level, customer service positions you may have held in high school or college often have an explicit dress code down to recommendations of which brand of shoe to wear, the expectations for professional positions are often vague. It’s important to research the company’s work culture and find out what most employees wear on a typical workday, then choose your clothes similarly. When dressing for the interview, wear an outfit that is at least one level dressier than this typical attire. This chart can help you decide what to wear to the interview. Note that while some example industries and positions are listed, it is important to keep in mind the specific organization and even the region. Consider the company’s reputation, client base, and how they brand themselves. An advertising agency that specializes in skate and snowboarding companies could potentially have a different standard of dress than an agency that works with luxury resorts; this is why researching ahead of time can help you dress to demonstrate familiarity with the company culture. When in doubt about what to wear, always choose a more formal outfit than a more casual outfit. Be comfortable enough to interview or focus at work. The advice blog Corporette emphasizes that “if you’re more confident and feel more professional in” clothes that differ from a standard interview outfit (such as a skirt suit), then “this may be the time to deviate from the norm” by wearing pants or a jacket that help you feel comfortable and confident. Find mentors and advocates in leadership roles who have your back and can speak to your competence and skills. Determine for yourself what your comfort level is for openly challenging the status quo (or not). Exercise your best judgment when it comes to choosing clothing or making other decisions about your appearance for an interview or the workplace. Ask A Manager’s Alison Green shares in her advice about personal appearance that what matters most is looking “polished and professional”—whether that means wearing makeup or not, conforming to gender standards or not, or other considerations. Familiarize yourself with different kinds of professional dress to help sharpen your eye for what is casual and professional. These Pinterest boards for “dressy” casual, business casual, and business professional are great places to start. Be sure to stop by the Professional Attire Fair to pick out a free Outfit for the upcoming Winter Career and Internship Fair. If you have questions about professional dress or finding the right style fit for you, your career advisor here at DU can work with you to evaluate your priorities, comfort, or build your skills in identifying different types of workplace attire. This article was updated from the 2017 version to reflect the upcoming career events.